Small heavily carved camphorwood chest. These chests were used by people who live their lives at sea as fishermen or traders. The wood emits a lovely fragrance which protected the contents against humidity and the elements, and also discouraged moths. This was so important in a life at sea. 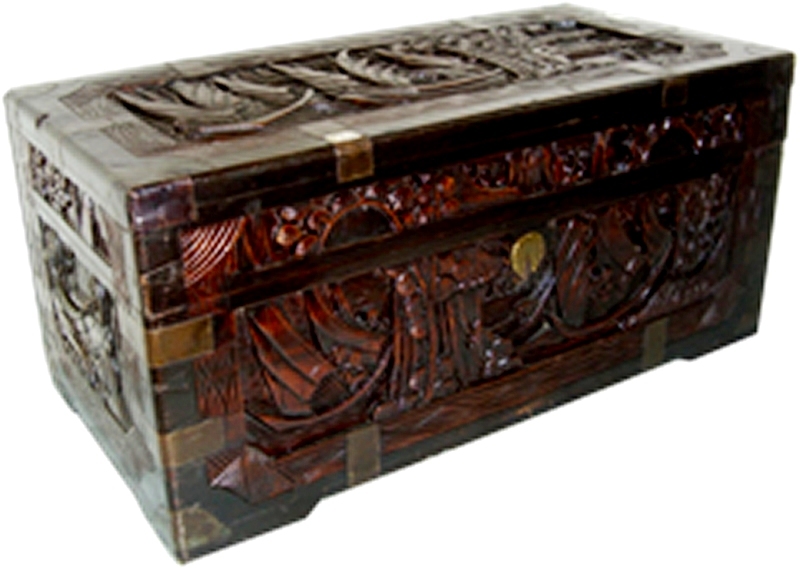 The chest is heavily carved and really attractive. Scenes of boats and mountains tell us that this chest would have belonged to a man. The lock and fixings are made from brass.